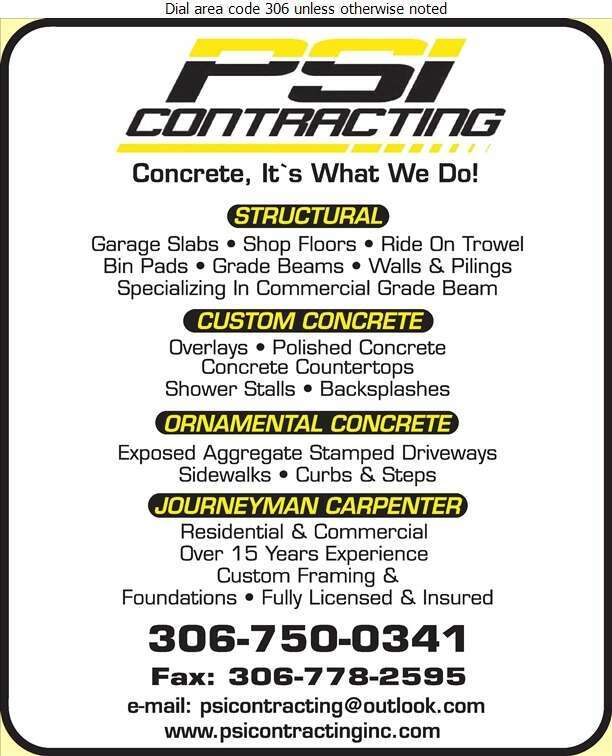 For several years, PSI Contracting Inc. has been providing Swift Current and area with various construction projects. Our qualified journeymen carpenters and tradesmen are the reason PSI has a reputation for high quality work and customer satisfaction when the project is complete. At PSI, we offer a wide range of services to both residential and commercial clients including concrete slabs, stamps and exposed aggregate. Our tradesmen also construct pilings, outdoor living packages, concrete fire pits as well as concrete counter tops. Custom framing, custom foundations and grade beams are other services that PSI offers. Call the professionals at PSI Contracting for your next project.